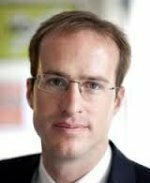 Matthew Elliott is one of the foremost political campaigners working in Westminster, having led the hugely successful ‘No’ campaign against the Alternative Vote in the 2011 referendum, and founded groups as diverse as the TaxPayers’ Alliance, civil liberties campaign Big Brother Watch and, most recently, Business for Britain – the leading business group in the UK campaigning for a better deal from the European Union. Described variously as a “campaigning genius” (by Evening Standard columnist Matthew D’Ancona), a “redoubtable campaigner and propagandist” (by former Labour MP Dennis MacShane), and a “cross between Norman Tebbitt and David Niven” (by Blairite Daily Telegraph blogger Dan Hodges), Matthew is also sought after as an electoral strategist and has worked with political parties in Azerbaijan, Belarus, Georgia, Ghana, Maldives, Serbia and Ukraine. His writing appears regularly in the national press, with recent opinion pieces in The Times, Daily Telegraph and City AM, and he often appears on TV and radio discussing Westminster, the EU and the art of political campaigning. Today, Matthew continues to oversee the work of the TaxPayers’ Alliance and Big Brother Watch, providing strategic oversight and using his experience to help guide the talented staff at the two organisations. Matthew also chairs the Tuesday Meeting – a monthly gathering of the leading centre-right thinkers working in politics, which regularly hosts cabinet members, best-selling authors and top politicians from the US and further afield. Matthew’s main focus is as the Chief Executive of Business for Britain, his latest campaign, which launched in April 2013 and now has the support of over 750 business leaders from across the country. Working on a daily basis with some of Britain’s most impressive and decorated entrepreneurs, Matthew and his team at Business for Britain have begun the difficult process of defining what UK business wants from the Prime Minister’s planned renegotiation with Brussels.